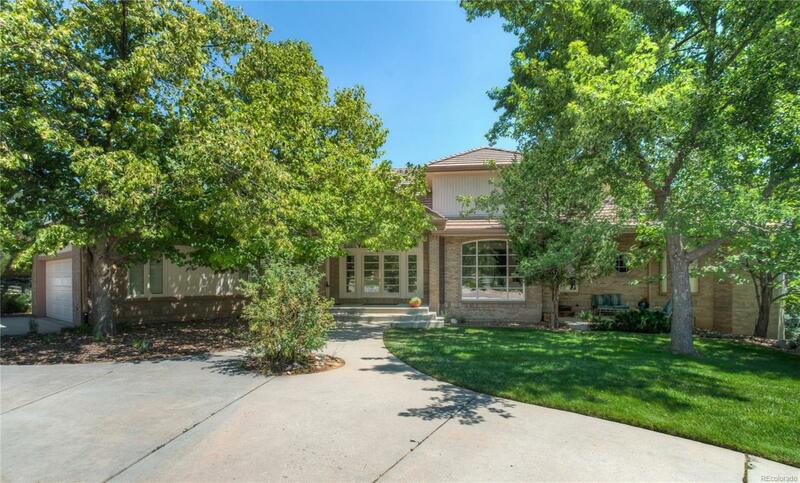 Custom 2 story with main floor master in desirable North Ranch at Ken Caryl Valley. Over 4500 sq ft with 3100 in the walkout basement. 4 bedrooms/6 bathrooms. Grand entrance with marble and hardwood floors. Gourmet kitchen with center island and vaulted ceilings. Spacious great room with wet bar, abundant windows and access to patio area. The large master suite has doors to the deck, and huge master closets, and luxurious master bathroom with walk-in shower and jetted tub. Living room with fireplace, doors to front patio and spacious dining room. Upstairs is a second master or guest room with attached bathroom. 2nd and 3rd bedroom each with walk-in closets and attached bathrooms. Large covered deck overlooks tree lined backyard. Enjoy entertaining with several patios and deck. Huge walkout basement ready to finish with carpet included. 4 car side load garage and circular driveway. Beautifully maintained home with quality craftsmanship! Best value in the North Ranch!